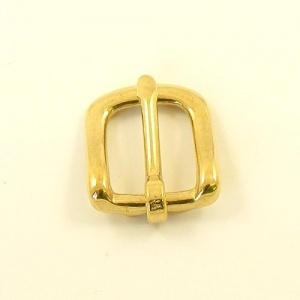 This is a solid cast brass buckle, traditionally known as a west end buckle. 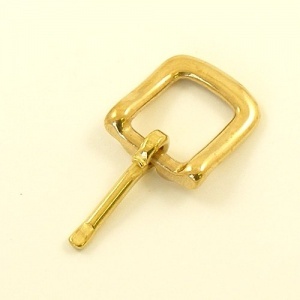 Ideal for a wide range of uses, this is a quality buckle that will last well and keep its good looks over time. The internal width is 16mm (5/8") and the overall external dimensions are 25 x 32mm.